Re-keying was first invented in 1836 by Solomon Andrews, a New Jersey locksmith. His lock had adjustable tumblers and keys, allowing the owner to re-key it at any time. Later in the 1850s, inventors Andrews and Newell patented removable tumblers which could be taken apart and scrambled. The keys had bits that were interchangeable, matching varying tumbler configurations. This arrangement later became the basis for combination locks. LockTech24/7 Locksmith can help to re-key your locks! Lock rekey service with us is fast and it’s done professionally. A home can’t be called a home if you don’t feel well enough protected between its walls. Such a small thing as a lost key can make a very big difference between a well protected home and a poorly protected one. But fortunately, LockTech24/7 locksmith can change it as well. In almost any situation where you think a lock needs to be changed, our local locksmiths can re-key the lock. Re-keying locks take a fraction of the cost and in a fraction of the time, it would take to select new locks and replace them. You do not need to replace the entire lock to protect your property, files, and cash. LockTech24/7 Locksmith technicians are experts in the home or business locksmith services industry. Our locksmiths can satisfy any security-related needs you have when it comes to residential or commercial security. If you’re wondering what re-keying locks mean, we definitely happy to explain. Re-keying locks is different than replacing a lock, but you gain the result. A different key operates the lock while the old key no longer open it. Re-keying is a relatively simple a process of changing the tumbler or wafer configuration of the lock. So a new key will function while the old one will not. Lock rekey may be done without replacement the entire lock. Remember – having your key lost is not the end of the world! It happens to almost everyone in one time or another. But it’s really important to take care of this problem within a really period of time. LockTech24/7 Locksmith understands that replacing a lock is sometimes an undesirable, expensive undertaking. Each of our locksmiths are trained in re-keying locks so that all our clients have to worry about are new keys. Lock rekey is a perfectly acceptable alternative to replacing one, and a much less costly endeavor. The process of changing a lock is equally as safe as replacing one entirely lock components, and saves time and money along the way. One way to reduce confusion and the weight of many keys on your key ring is to have all of your locks re-keyed, to use the same key. 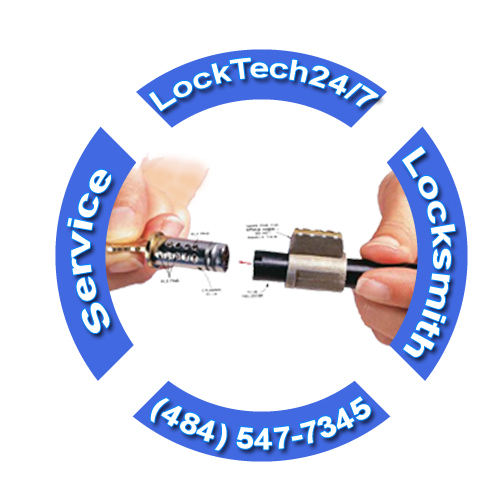 LockTech24/7 locksmith technician can easily re-key an unlimited number of locks in your home. In short, we can make all locks works with the same key. 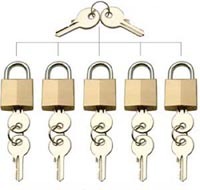 A master key operates a set of several locks. Usually, there is nothing special about the key itself, but rather the locks into which it will fit. These master-keyed locks are designed to open with two different keys. One which is specific to each lock and cannot operate any of the others in the set. And a second key called The Master Key, which opens all the locks in the set. Installing master key in a lock provides us with a second set of keys used to operate the locks that are identical fit. For example, master keyed pin tumbler locks will have two shear points at each pin position. One for the change key and one for the master key. A far more secure (and more expensive) system has two cylinders in each lock. One for the change key and one for the master key. Larger organizations, with more complex “grand master key” systems, may have several levels of master keys. The top-level grand master key works in all of the locks in the system. A practical attack exists to create a working master key for an entire system given only access to a single master-keyed lock. In other words, this system has been used for years and takes a skilled professional to re-key the tumbler twice, and set the pins to match two keys. And if you ask yourself this question, so the answer is; absolutely, yes we can! We can add a master key to your locks. LockTech24/7 Locksmith is a full service on-site commercial locksmith. Our technicians will come to you in a matter of minutes and can handle all of your commercial locksmith needs. Our master key services create a single key to operate all locks in a building while also providing individual keys that only have access to specified doors, allowing employers to maintain different levels of access for employees. This can further be scaled up to include multiple supervisors with separate master keys that are separate from each other while an office manager carries a Grand Master key that would work all the locks of the multiple departments. 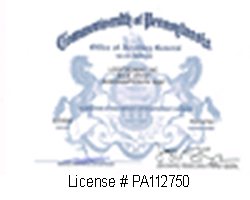 LockTech24/7 Locksmith has been serving many offices in Lehigh Valley and Pocono areas to help simplify their offices by introducing the master key system.